Interactive coloring game for children ages 2 to 5. Tap and Color is an interactive coloring book designed for toddlers, preschoolers, and young children, including those with special needs and autism. In this coloring book children don't need to choose colors! Even young toddlers will learn how to use this coloring book without a parental assistance. Coloring book themes: In the Lite version: Two themes - Park and Circus. 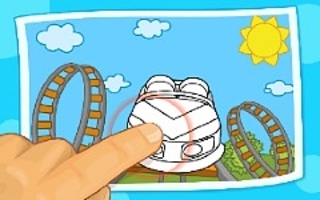 In the Paid version: Six themes – Park, Circus, Zoo, Store, Sports, and Playground. 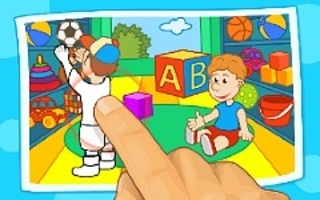 Intellijoy's educational games delight children through fun and learning. Children and parents love our distraction-free games. All of the apps focus on specific learning concepts. They do not distract the users with unnecessary sounds or images on the screen, not to mention ads, pop-ups, and unrelated subject matter.